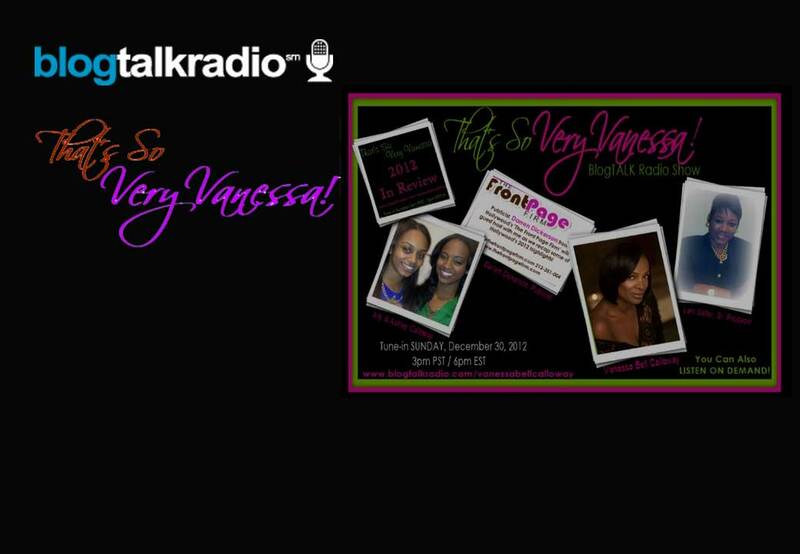 Tune in to my That’s So Very Vanessa! BlogTalk Radio Show this Sunday, December 30, 2012 at 3:00 pm PST / 6:00 pm EST. My daughters, Ally and Ashley Calloway, my publicist, Darren D. Dickerson, and my Senior Producer, Lani Salter, will all be with me for my 2012 Year in Review! I’m so excited to see my That’s So Very Vanessa! family of listeners growing each week. If you’d like to be a guest on my show or you have an interesting topic you’d like to discuss, tune in weekly and become a regular listener!